Dreaming of your own home on the lake??? Now available...updated home with 100+ feet of lake front and AMAZING lake views!! 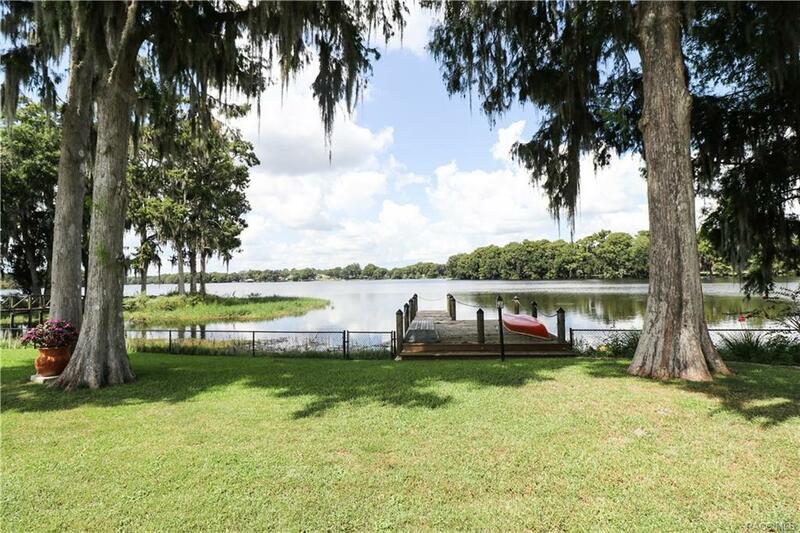 Private dock, fenced yard...surrounded by natural beauty!! Tile and wood (oak and bamboo) floors. NEW kitchen with WOOD cabinets! NEW roof in Jan 2018, NEW dock in 2016, NEW HVAC in 2012, NEW Thermopane windows, NEW insulated garage door, lots of other energy effecient features...Seller offering a one year WARRANTY on home!! Split floor plan. 2 sheds, screened porch to sit and enjoy the lake views! Glass enclosed lanai with heat/air and electric...And the list goes on and on!! Don't let this one get away!! You CAN have your lakefront with majestic views!! Priced for quick sale!! Subdivision/Neighborhood: Ferris Groves Lakeshore Est.